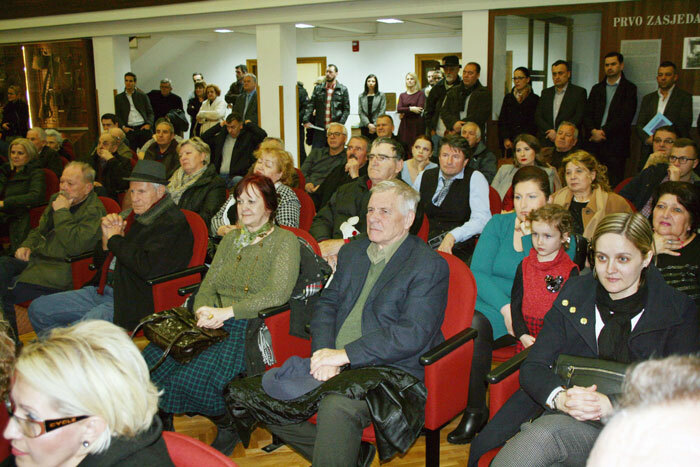 BIHAĆ, 27. decembra 2017- Odbor za proučavanje historije Salihagića iz Bjelaja i izdavačka kuća "Grafičar" upriličili su sinoć u Muzeju Prvog zasjedanja AVNOJ-a u Bihaću promociju monografije "Salihagići iz Bilaja" Rodoslovni historijski put, autora Mithada Kozličića i Adema Salihagića. Djelo Salihagići iz Bilaja, Rodoslovni historijski put, autorskog dvojca Mithada Kozličića i Adema Salihagića, po mnogo čemu je jedinstveno u našoj historijskoj nauci. Njihov autorski doprinos u ovoj knjizi je nemjerljiv i po svojoj originalnosti premašuje brojna autorizovana djela. Ono što se iz samog sadržaja knjige može vidjeti je da su se autori suočili s nedostatkom pisanih izvora, što ih je svakako spriječilo da napišu jednu hronološki upotpunjenu monografiju ove porodice. Stoga su otišli korak dalje, te kao iskusni pedagozi, dali priloge uz ovu knjigu koji će biti na usluzi istraživačima rodoslovlja u Krajini. Monografija "Salihagići iz Bilaja" nastajala je punih sedamnaest godina jer je do potrebne historijske građe bilo iznimno teško doći. U Bosanskom Petrovcu sva dokumentacija o Bilaju, je spaljena pa su se činjenice utvrđivale na izjavama svjedoka. I u Bosanskoj Krupi su uništeni svi dokumenti o Salihagićima. O monografiji je govorio i akademik Muhamed Filipović podsjetivši kako su se Salihagići iz Perušića na ličkoj, radi minimuma sigurnosti, povukli u Bilaj na bosanskoj strani. Istraživači su morali obratiti pažnju na ostatke materijalnih dokaza o životu i postojanju porodice Salihagić u Perušiću, što predstavlja nesumnjivo pouzdan izvor da se utvrde osnovne činjenice o životu ove porodice. Osim akademika Filipovića ovo iznimno značajno djelo promovisali su takođe prof. dr. sc. Edin Mutapčić, sa Pravnog fakulteta Univerziteta u Tuzli , akademkinja prof. dr. sc. Aida Salihagić Kadić i autori Mithad Kozličić i Adem Salihagić. Traganje za svojim precima, bez obzira koliko bilo složeno s obzirom na sačuvanost historijskih izvora, častan je poduhvat. Istovremeno, to je odavanje posebne počasti onima od kojih smo i sami potekli. To je pouka i našoj djeci, i djeci naše djece, da su nam korijeni puno dublji od vlastitih roditelja. Počast je to generacijama koje su bile prije nas, posebni dug koji kroz znanje o njima predajemo vlastitim potomcima. Jer, čovjek bez korijena, bez spoznaja o onima prije njega, čije genetsko naslijeđe nosi, čovjek je bez nade u kvalitetnu budućnost! Suprotno, čovjek duboko svjestan historijskog puta vlastitog roda, prvenstveno s očeve strane čije prezime nosi, ali i majčine, jer mu je i taj rod podario neke posebnosti, čovjek je svijeta, human i objektivan prema svojim susjedima, koji su također tek trenutno zadnji potomci vlastitih predaka! To je svijest i o srodstvu s mnogim drugim rodovima, čime nacionalno opredjeljenje postaje humanije i objektivnije, čak dotle da, u dalekoj prošlosti, bijasmo svi braća i sestre. Zato je moderni imperativ prema susjedu biti gotovo brat, a sa svima drugima čovjek u najljepšem smislu riječi! Research of genealogy of a specific lineage in historiography is probably one of the most complicated and most difficult research tasks. The difficulty lies in the fact that the goal of the research is to discover the most important historically credible information about history of a certain lineage. We encounter a similar situation when discussing genealogy of the Salihagić lineage. This project was started seventeen years ago, and the probability to come to its closure, especially to a successful conclusion, was almost impossible. However, with a stroke of luck, we managed to come to the most plausible basic contours of this "historical journey". The attempt to reconstruct the genealogy of Islamized population/lineage of the area which is today known as Bosnia and Herzegovina, as well as of surrounding states, often ends unsuccessfully. If we try to explore the lineage of "ordinary" people, it is practically impossible to go beyond a period of a century, or a century and a half. The reason for this is the fact that Administration of the Ottoman Empire did not acknowledge a surname as the basic "indicator" for differentiation of lineages. This long-lasting period of not acknowledging a surname ended with reformer Gazi Mustafa Kemal-Pasha Atatürk and Law of Surnames (1934) initiated by him, which legally introduced the use of surnames in Turkey. For lineages which had well-known individuals through history, especially for the ones who lived in borderland of the Ottoman Empire, research is somewhat easier. As a confirmation of certain historical events, these individuals were noted by their last names in the Western sources. Salihagićs of Bilaj had the unfortunate "luck" that their most likely progenitor, Murat-aga Salihagić, fortress commander of Perušić, was killed in a battle in 1662. His death was noted in the records of Office of Republic of Venice in Zadar, and these records are kept until today in the State Archives of Venice. This does not necessarily mean that this Salihagić lineage of Perušić did not have another surname earlier! However, Salih-aga, who was probably the father of Murat-aga Salihagić, famously and successfully performed a duty of a fortress commander of Perušić from 1643 to 1658. Due to his father’s famous reputation, his son took over his father’s name as the base of his surname. This led to the abolishment of centuries acknowledged practice: Murat-aga, the son of Salih-aga. South Slavic ić was added, and this was how Salihagić surname was generated. The similar practice was applied in the 18th century with the Salihagićs of Kotor-Varoš, and in the 19th century with Salihagićs of Fojnica. This was always inspired by the reputation of their progenitor: Salih-aga. Of course, it is important to emphasize that Salihagićs of Kotor-Varoš and Fojnica are not related to Salihagićs of Bilaj. 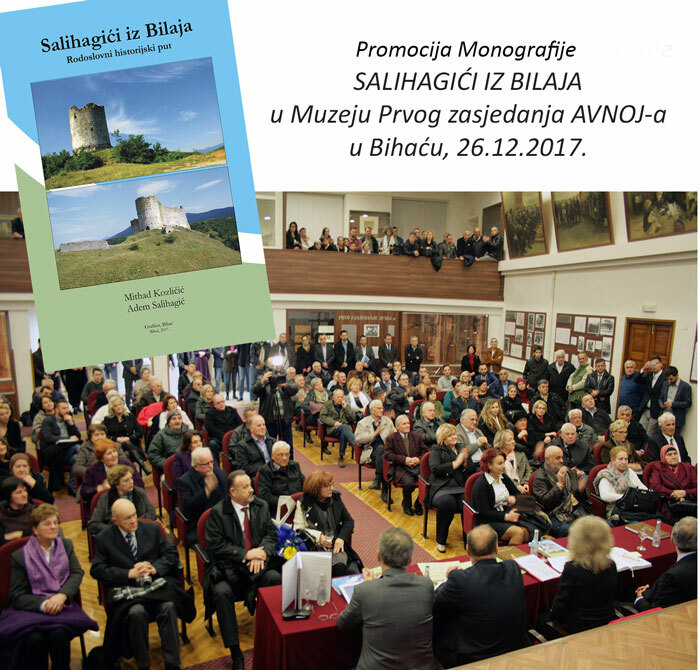 It is interesting to note that the same model, with the same surname, was applied three times, which confirms the accuracy of this monograph, regarding the reconstructed plausible historical journey of Salihagićs of Bilaj. 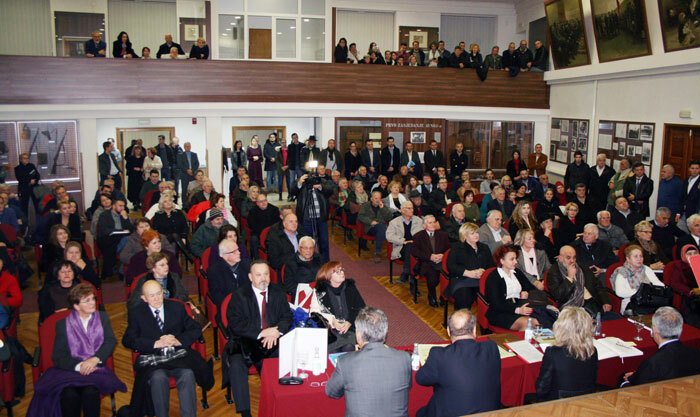 The history of Salihagić lineage in Lika stops here, at least according to currently available historical documents. It is continued in the 19th century in Bilaj, near Bosanski Petrovac. 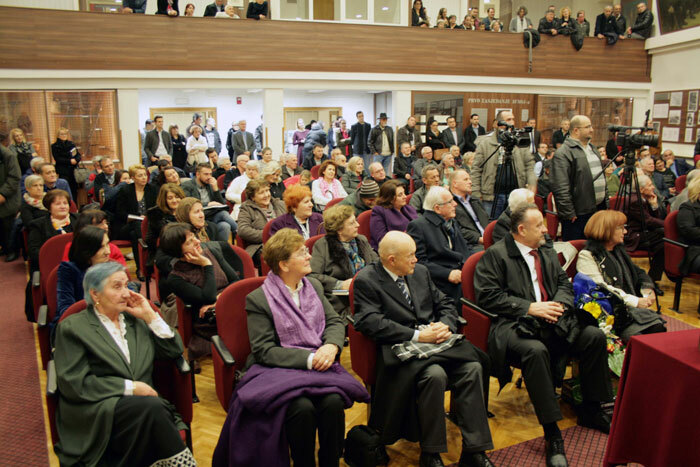 For now, it is not clear how and when the Salihagićs moved to Bilaj, since there are no accurate historical data. After Lika was freed from Ottoman rule in the late 17th century, more than 130 000 Islamized inhabitants of Lika, Kordun and the surrounding areas migrated to area which is today known as Una-Sana Canton. It is most likely that Salihagićs, as a part of this mass migration, found their new home in Bilaj. Their further "historical journey" can be somewhat traced on the basis of credible historical documents. Most documents originate from the first half of the 20th century when Salihagićs, like many other wealthy Muslim inhabitants of Bosnia and Herzegovina, were exposed to violent robbery of land by the Kingdom of Slovenes, Croats and Serbs, later Kingdom of Yugoslavia. Despite this non-linear "historical path", Salihagićs were persistent, and no hardship could make them indecent, less courageous and undignified. Thus, this book is a specific history which, in general sense, paints the life path of many Islamized lineages of Bosnia and Herzegovina. In this context, it could be of interest to cultural and scientific circles. Compared to other researches, this book aims to legally and historically contextualize the challenges which the Salihagićs went through. This requires significant research effort, starting from shaping not too long but still inevitable part about the origin of the surname, through their arrival in Lika, to reconstruction of their life in Bilaj, especially during agrarian reform in 1920s and 1930s. 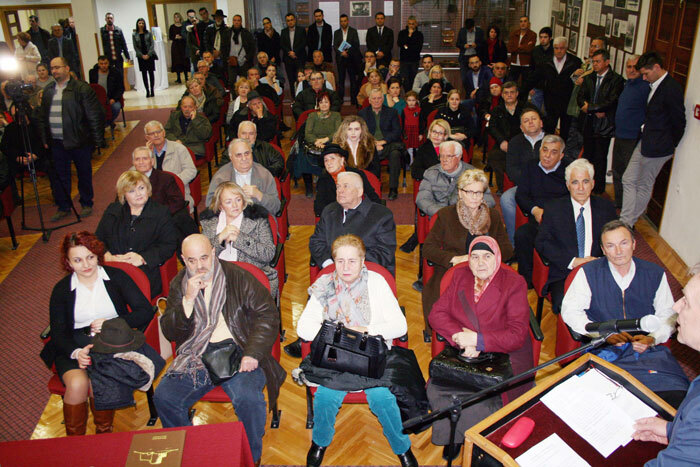 This period of agrarian reform has been in the focus of historians for decades, but nevertheless certain questions remain unanswered, especially in the context of specific lineage, in this case - of Salihagićs. "Historical journey" of Salihagićs of Kotor-Varoš and of Fojnica, was partly included, since they share the same surname with Salihagićs of Bilaj near Bosanski Petrovac, but are not related. 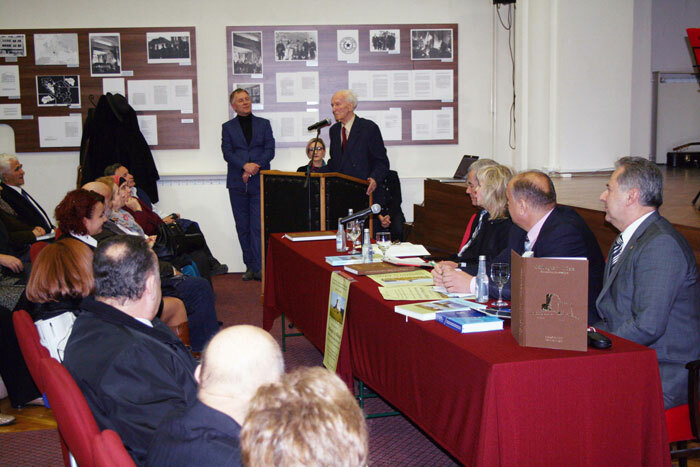 This book also includes information about other members of the family Salihagić, who migrated to other parts of the world, during the Bosnian War. The analytical part of this book is followed by Appendix, which contains different texts and documents that support information and considerations in this monograph. Appendix is then followed by a part entitled "Documents of expropriation from Salihagićs of Bilaj during the Agrarian Reform of Kingdom of Slovenes, Croats and Serbs", which contain a small portion of photographed documents from Archives of Bosnia and Herzegovina in Sarajevo, within the the Fond of Agrarian Reform.